High-end hybrid cymbal made of B20 bronze! Turkish B20 basins in different finishes! Now available again from us! 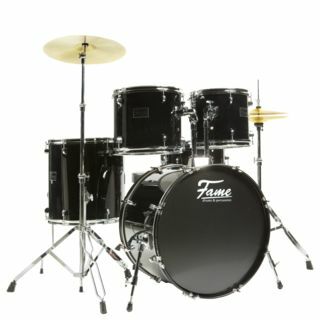 Hardly any area of musical instruments is more varied than that of drums and percussion: drum sets, shell sets, cymbals, drum sticks, e-drums, drum computers, cajons, shakers & co. - Sets and drums of all kinds for beginners, advanced and pros are available in the drum shop of MUSIC STORE professional and of course here in the online shop. But you shouldn't miss the opportunity to test the instruments yourself in our Drum Shop, because nothing beats the direct experience of playing a drum set - no matter if with an acoustic or electronic drum set, because every percussion instrument has its own specific expressive possibilities. In any case it's Rock On - the fun of playing drums should always be in the foreground. It's best to take a look around our extensive drum department and get detailed advice before you buy your new drum set. Information about drums of all kinds, drum sets, equipment and accessories can be found in the product pages of the MUSIC STORE online shop. 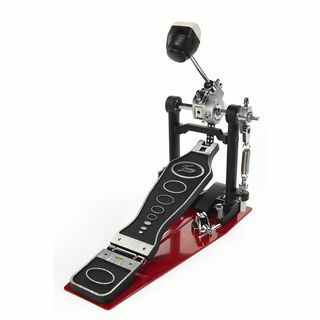 Do you want to buy a complete drum set or assemble a set from individual instruments? 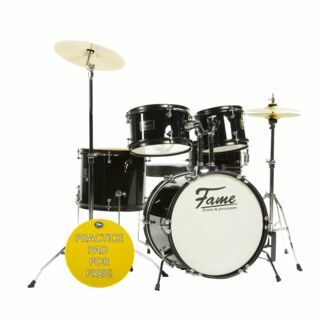 You will find drums as complete sets and you can also buy a drum set that is individually assembled according to your price and sound ideas - you will find a large selection: Bassdrum, snare, tomtoms, hihat, cymbals, accessories and hardware. You will also find percussion instruments from all over the world as well as accessories for all areas of the world of drumming - from djembe and cajon to congas, bongos, timbales and tambourines. You have to start early if you want to become a master: If you want to get started very early - no problem: there is also a large selection of children's drums. If you want to learn to play with a full-grown drum set, a complete set is certainly a good idea, while experienced drummers and percussion players have usually already made a preselection or have more precise ideas about what their drum set should look & sound like. Be inspired by our extensive exhibition in the shop - you will find drums and percussion instruments of all top brands of the drum world here. In addition to the extensive range of well-known brand manufacturers, we also offer acoustic and electronic instruments of our own brands Fame and Crash as well as individual custom drums and high-quality handmade cymbals from Turkey at a reasonable price. 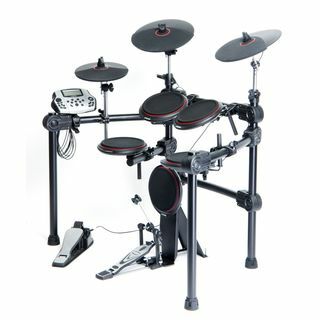 Of course, we are also represented in the constantly growing market for electronic drums and percussion. Convince yourself of the versatile possibilities and advantages of an E-Drumset and visit us in the MUSIC STORE for a detailed E-Drums test! You can even test and try out digital drums and drum pads at any time in our large exhibition. Our drum experts have a large musical knowledge and are always at your disposal for advice and assistance.